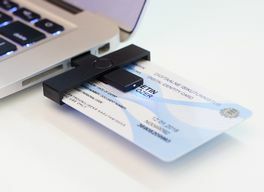 Interesting media coverage about LeapIN, Estonia and e-Residency in general. Sep 13, 2017 How do e-residents pay taxes? Jul 21, 2017 Can e-residency of Estonia help you Brexit proof your business? Jun 5, 2017 E-Residency and Transferwise Borderless — fast as lightning set up for freelancers and entrepreneurs everywhere. May 3, 2017 What is Estonian e-Residency? Apr 27, 2017 Is This Tiny European Nation a Preview of Our Tech Future? Apr 18, 2017 Estonia aims to lure UK academics as "e-residents"
Dec 8, 2016 Why are so many digital nomads becoming "e-Residents" of Estonia? Dec 1, 2016 Estonian E-Residency: Is It For You? Nov 15, 2016 Estonia – Saving UK businesses from Brexit-doom? Nov 11, 2016 Kaspar Korjus:"Estonia has the most startups per capita and this startup culture has led to fail and fail and try again"
Sep 24, 2016 Could e-residency offer a way around Brexit? June 17, 2016 How Estonia's e-Residency Program Makes Starting & Running A Global Business Ridiculously Easy! Sep 21, 2015 Estonia's CIO: E-residency coming to Singapore and running a government startup. June 16, 2015 I became a virtual resident of a country I've never been to. Now what?